Leaves are the pleasant background of the house and provide a sense of relief from the scorching sun. They are important to the environment because it creates habitats for other wildlife such as birds, butterflies, and honeybees. When the winter months come to an end and the weather becomes warm, most people worry about pest infestations which usually erupts during the summer months. The most common pests that mark the arrival of summer are mosquitoes, cabbage worms and the most deforesting pest that should be reckoned is the Gypsy moth. Gypsy moth caterpillars are voracious eaters known for defoliation of deciduous and evergreen trees. They not only pose a major threat to trees and shrubs rather a real nuisance to humans and pets as they cause many vulnerable infections and allergies. The gypsy moth caterpillar is back again this year. Environmental experts are worried about the damages caused by these critters. The little buggers in the larva stage damage crops in large numbers. This is an invasive forest pest from Europe, however, after migration of over 500 species to many parts of United States, the country experiences more damages to their forest hardwood trees. Their major preference of choice are oak trees, however, they love to take hostage on all types of deciduous trees. Some species of gypsy moths are not selective about trees and feed on almost 300 types of trees. Gypsy moth control methods are often necessary to keep them in control and reduce their population in your backyards and urban areas. There are many aspects that you need to know from gypsy moth before making any prevention control. What Does Gypsy Moth Eat? Gypsy moths are annoying insects especially during their larval stage (or gypsy caterpillar) that has a haired body with blue and red spots on their body. The adult gypsy moth lay egg masses which contains about 600 to 1000 eggs in the overwintering stage. When they hatch from the egg, they are very tiny say about just one-sixteenth of the inch. However, they can grow up to a length of three inches when they complete the metamorphosis and become an adult insect. The complete metamorphosis takes about 6 to 8 weeks’ time interval. The pesky insects were introduced to the United States in the year 1860 by a French scientist Mr. E. Leopold Trouvelot with an intention to introduce silkworms to the country. Although they were kept well-protected in his experimental center in Massachusetts, sudden cyclonic storms made the insects carried away in the winds. This caused a real nuisance to the people living in Trouvelot’s neighborhood. Further adding to their annoyance, spring emerged and there was a massive outbreak of these creepy critters. Their neighborhood was completely covered with dead and chewed leaves. Furthermore, it caused vulnerable diseases to the hardwood trees thereby killing the huge trees which were once seen with big nourished leaves. Gypsy moth, the invasive species from France eats the leaves of a large variety of trees. Some of the trees have turned out to be their favorites while few other they generally avoid. A single gypsy moth caterpillar has the potential to devour more than ten square feet of vegetation for its entire lifetime. If one insect can do this amount of damage then imagine the defoliation if they have vast population. Young caterpillars make small holes in the leaves whereas the older caterpillar starts making the damage starting from the outer edge and marching towards the inner edges of the leaves. After they are done with the chomping, you could see only the skeleton and dead leaves. First, let us see what trees have turned out to be their favorite snack. However, trees like Fir, walnuts, mulberry, locust and sycamore trees are least bothered by this pesky little insect. There is no practical way to eradicate the gypsy moth, however using multiple control tactics, it becomes possible to manage their attack and keep their population under control. You can protect your hardwood trees from defoliation with some natural and artificial control techniques. We can’t let them die and need to get rid of the nasty gypsy moth before it causes some serious problems. Bionide neem oil concentrate is an all-purpose insecticide, fungicide for organic gardening. This product is made from neem seeds derived from the Azidirachtin tree. They are suitable for all plants inclusive of herbs, vegetables, flowers, and roses. They provide an effective solution in killing eggs, larvae (gypsy caterpillar) and adult stages of the insect. They are safe on edibles including strawberries so gypsy moth is not anymore a concern for the homeowners. The concentrate contains fungicides, a biological component used to control parasitic infections or pathogenic attack in plants and trees and can be used until the day of the harvest. This is used as a dormant spray when the plants are healthy and nourished. This insect repellent not only controls the population of the pesky critters rather gives a healthy shine to the plant. However when you are not sure whether you can use as a synthetic fungicide, then you can mix a small portion of the concentrate and try using on ornamental plants. Moreover, they should not be used as a fogger. The general recommendation is to use a hand pump sprayer. This repellent has excellent reviews from the customers and is widely available on Amazon. They are good insect killers for lawns and most effective in the destruction of ant, fleas, gypsy moth caterpillars, tent caterpillars, ticks and few other insects. They work well for rust, mildew, and blackspots. The active ingredient in the bio advanced Bayer gypsy moth killer is a mixture of Imidachoprid, tau-fluvalinate, and tebuconazole. One of the disadvantages of using this insect repellent is, it is not recommended for an organic garden, so better not to use if you have edible plants in your garden. However, it is a great choice for pesticide except for the edible plants. You can have insect protection for up to fourteen days. Best cures and prevention from fungal pathogens. They are ready to use product which provides immediate results on spraying. No need for dilution, unlike other concentrated pesticides. 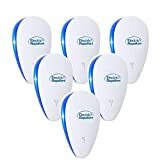 These insect repellents can be purchased in home pest control stores or you can make your purchase online through Amazon. These insect repellents are effective in killing insects and prevents new infestations up to 12 months. Usage of this repellents provides a great sense of relief from Japanese beetles, destructive caterpillars that includes gypsy moth caterpillar and tent caterpillar and fall webworms. These are not only destructive for the existing infestation rather effective in preventing new infestations from occurring. They function systematically to protect the roots, branches, and leaves of the shrubs and trees. The main ingredient present in the Bayer advanced 12-month tree and shrub protect is Imidacloprid. Imidochoprid is neonicotinoid insecticide works effectively against the defoliation pests like rice hoppers, aphids and leaf-chomping caterpillars like gypsy moth larvae and tent caterpillars. They are found effective even against some species of beetles. They are recommended to use when the circumference of the tree is 128 inches and above. This insect repellent should be used when the soil is damp either after the rain or at least when you have one inch of rain. 1 ounce per circumference is the right measure of usage. This will last for next twelve months so no more a concern for the tree owners for a year. You can widely find this insect repellent in number of online marts including Amazon. Organicide is a naturally safe organic insecticide and fungicide effective on a wide variety of leaf devouring critters. The fatty acid that contains in this insect spray have toxic characteristics and have the potential to target the insects and make them less resistant against their activities. In a nutshell, they become weak and ultimately dies. This is a very good replacement for many hard pesticides and does not pose any threat to the environment. It works great against gypsy moth, tent caterpillars and some species of bagworms. Directions for use are generally mentioned at the back of the bottle. Usually, you will mix 3 ounces of the organic insecticide with one gallon of water and transferred to a hose end sprayer and targeted against the insects. Customers who have used this insecticide spray found it a great success for several years. They found it great on trees which were vulnerable to fungal infections caused by the creepy pests. This insect repellent is efficient in killing gypsy moth larvae, caterpillar and cabbage loopers. Safer caterpillar killer is the best solution to an organic garden, saving your edible plant without causing harm to beneficial insects like earthworms, beetles, and butterflies and also to your pest and they can be used until the day of harvest. This product is designed to be applied on the leaf surfaces of the plant rather as a widespread application. When the bottle is left unopened, you can retain for two years' time. Many have problems with their ornamental plants when spring set in due to the annoyance of the gypsy caterpillars. Safer caterpillar killer provides great relief from these nuisances. This insect repellent can be purchased at Amazon, Walmart, and few other online stores. Tanglefoot works great for gypsy caterpillars, cankerworms, weevils and ants. One of the best features about Tanglefoot is, it is weatherproof, so it is immaterial whether it is sunny or rainy weather conditions. They are ready to use products just a paper tape which has a strong adhesive to stick to your tree. The only thing you need to ensure while buying is, to know your requirement before you purchase. Easy to use and remove after the eradication of the creepy crawlies. This is the highest certified product for organic gardening. How to control gypsy moth naturally? If you are on the verge of controlling the infestation of gypsy moth using chemical free and hassle-free techniques then you can try using any one of the below strategies. Egg mass treatments – Gypsy moths generally lay eggs in a sheltered spot like under the branches of the trees and leaves, house roofs, vehicle tyres and fire woods that are not easily visible to the predators. With egg mass destruction, you can considerably reduce the caterpillar numbers which hatches in mid may or spring, perhaps when the weather becomes warm. You can either get rid of the egg masses using parasitoid wasps that consummate these eggs or adopt technology that requires the use of horticultural oil. For this, you need to soak the egg masses with horticultural oil or insecticidal oil or soya bean oil, then try to scrape it off from the bark. These egg masses, when soaked in oil, comes out of the tree trunk more easily rather scrapping directly. However, you need to ensure that you don't cause any damage to the trunk during the scrapping process. The removed egg masses should be kept in the jar filled with soapy water. After some time, the eggs die and you can trash them. This destruction of egg masses prevents the hatching up to 1000 of caterpillars. Gypsy moth eggs generally hatch sometime in late April or early May depending on the arrival of spring. The caterpillar stage of the gypsy moth is considered to be the worst because it is a voracious insect, loves to eat as much as leaves. Apparently sticky barrier bands technique is found to be effective in the invasion of the newly hatched caterpillars. They stop the gypsy moth and interrupt their lifecycle. The larvae emerged from the egg masses feed mostly at night on leaves to spend heat on the day to the cooler understory. These tree banding can be applied as a slippery barrier. These barriers are too slippery for the caterpillar to climb down the tree. Moreover, the sticky substance in the band traps the caterpillars when they try to cross past them, ultimately prevents the caterpillar from further defoliation. People who have adopted this technique were super happy when they worked perfectly. It prevents the ones from coming down that are already infesting the trees. Since it could not make its movement they die because of the burning heat of the sun. This is a simple, easy to use and utilizes a powerful pheromone to attract the gypsy moth. Pheromone is a chemical substance that is released by the female moth to trigger sexual attraction in an adult male gypsy moth. They are generally secreted outside the body and this substance has the potential to alter the behavior of the male partner. WSDA normally places about 20000 gypsy moth traps around the state because they are found effective in gypsy moth management. The pheromone traps are made of green card which is usually in the form of a triangle or in the shape of small milk cartons. These cards are stapled to the trees after the eggs masses hatches. Inside every trap, a paper coated this pheromone is attached to it which acts as a bait for the male adult gypsy moth. The male moths smell the scent, thinks it as the scent sent by its lady love and get trapped in the pheromone trap. At the end of the summer, the trap is removed and the dead insects are cleared. When the insects get trapped in the technique they starve to death without food. At the same time, the mating is controlled thereby it interrupts the reproduction cycle. This method is effective in controlling the reproduction of the new insects and the population is effectively controlled. However gypsy moth population in North America is very high, and they typically erupt during every spring season. When their density level reaches very high, trees generally become completely defoliated and eventually, the forest dies. Gypsy moth considered to be one of the most defoliating pests for the hardwood trees. Apparently, with a number of solutions available, you can get rid of your moths today. 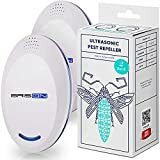 Amazon has a number of product for gypsy moth control so you can try any one of the strategies and terminate the nuisance of the little pesky insect.